Well, it's that time - to reflect on the old and welcome the new. And I am hoping for a quiet new year. No medical explorations at all (2008: breast biopsy; 2009: broken ankle). No major changes in family life. I would just like a copacetic year! Time to get back to the gym, and work on healthier living. But that is not a New Year's Resolution - that is a monthly or weekly goal! 3. Not only to be more thankful but to express my thankfulness more often. My biggest resolution came not at New Years, but at my 50th birthday. And I occassionally have to be reminded about it. and that resolution was to not prevent myself from enjoying something just because I THINK I wouldnt like it. Have to try something before I say 'oh no, I wouldnt like that' - that is how I went on the Tower Of Terror. Once. But I did go on it! I will be erasing the knitting counter on my blog and ready to start a new one. Altho I will not have the same amount of time to do as much in - I hope! Middle daughter and family made it down today. They are going to some show in SF tonight and spending the night there. The kids are staying with his sister. Tomorrow they will be here and will open presents. And playing with their cousins! Son is back East - attending his first New Year's Eve in Times Square! That is something I wish I had done when I was younger - don't think I could/would do that now becuase of the crowds! And another reason to visit NYC is crossed off my list - the Tavern on the Green is closing today. Always wanted to see that place, oh well... He also was in Philadelphia and made us all jealous when he sent us photo of the cheesesteak he was enjoying! 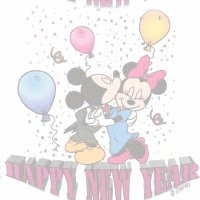 I am wishing everyone who reads this - my family - my friends - heck, the whole world: health, safety, prosperity for 2010! in your blog and saw the GG bridge one. You must live close to me. I live in Vallejo. Work Party - and complaints!